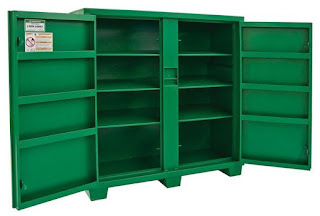 EB Horsman Product Profile: Greenlee Storage Boxes & Cabinets are in Stock! 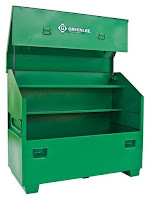 Greenlee Storage Boxes & Cabinets are in Stock! 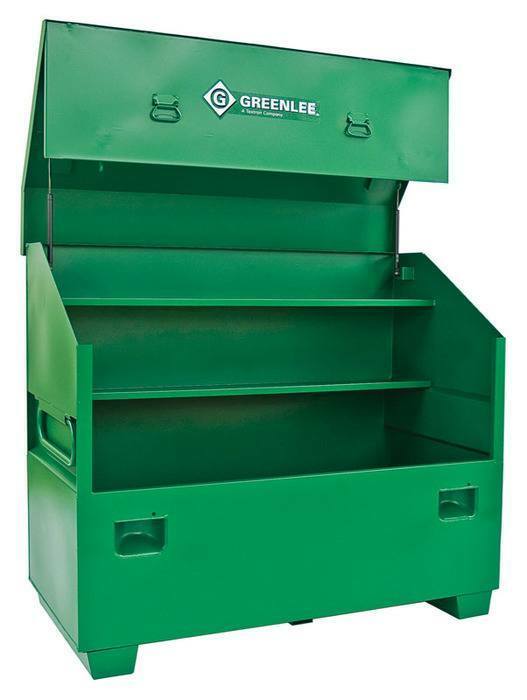 Protect the tools you invested in with Greenlee Storage systems. 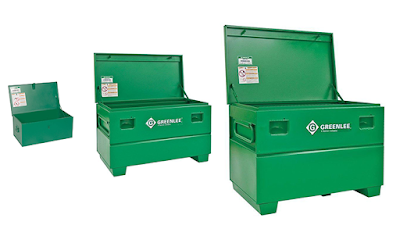 Greenlee is dedicated to providing high security storage products by constantly enhancing the anti-theft features such as recessed and concealed lock protector against drilling cutting locks, and non-removable hinge pins. Their products are also equipped with enhanced lid bolster and heavy-duty piano hinges with non-removable pin for added support and durability. The newly-designed ergonomic features make Greenlee’s storage and handling systems easy to use and easy to move around the jobsite. New angled 3-1/2" high support skids feature threaded holes for easy caster installation, which are also in stock at E.B. Horsman. The Greenlee chest boxes will store and protect your tools against theft and harsh weather. We carry chest boxes that range in capacity to serve your needs. Enhanced lid bolster for added support and durability. Finger-groove lid handle for easy support and durability. 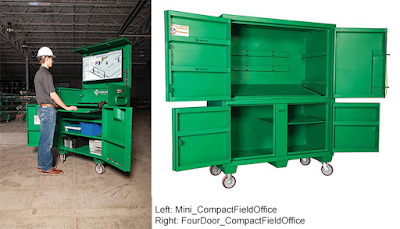 The flat- and Slant-top designs provide more storage capacity for tall, bulky items, plus a large work surface for jobsite plans with hemmed (reinforced) high-strength shelves. 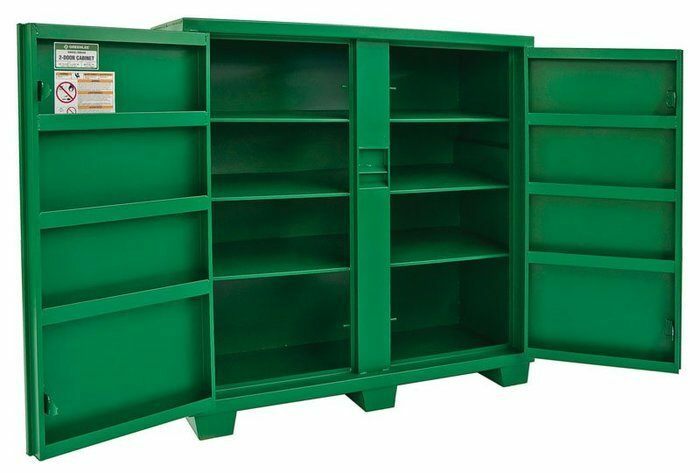 The Slant-top model features two reinforced steel shelves with large lip to prevent items from rolling off. Allows you to save time by eliminating walking throughout the jobsite to view and collect prints. The field office can mount up to a 55’’ monitor (40’’ for the mini model) and has internal and external pass-through holes for easy installation. The narrow design fits through 36’’ doorways for easy mobility throughout the jobsite. The compact model features a slanted work surface with two levels to accommodate laptop and additional equipment while the mini model has a sliding shelf for pull-out storage of laptop, keyboard, etc. The 2-Door utility cabinet is the ideal solution to store your tools and supplies in an organized manner.